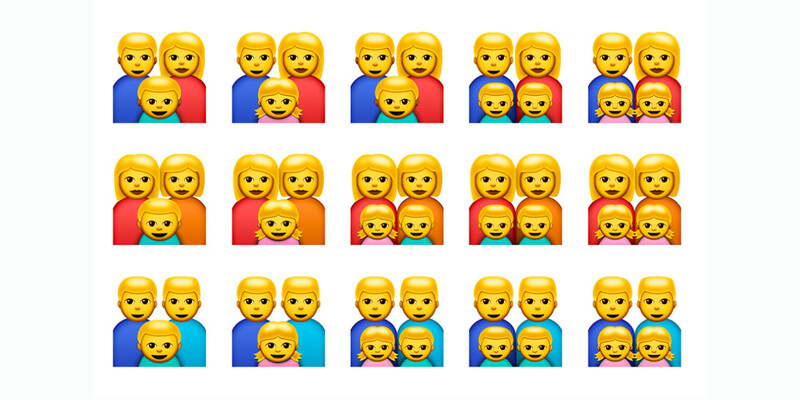 Could it be possible that gay-themed emoji — where tiny boy and girl heads are depicted as kissing or with a heart in between them — actually promote homosexuality and thus violate Russian law? That is the burning question that The Federal Service For Supervision of Communication, Information Technology and Mass Media — the agency that oversees Russian media — is now looking into. Mikhail Marchenko, a senator in Russia’s parliament has called for a probe of whether such emoji, as they appear on Facebook, violate the country’s 2013 statute prohibiting “homosexual propaganda” to the country’s youth. Note that the investigation involves only Facebook’s use of the emoji right now. Twitter and other social media have yet to come under scrutiny. The agency — figuring the youth of the country might have a valid perspective on the issue — sought counsel from the Young Guard, the main youth group representing President Vladimir Putin’s political party. But Denis Davydov, speaking for the Young Guard, said his organization would consult professional psychologists to figure out “whether there is propaganda or no propaganda” in the emojis. So, the world is left awaiting that proclamation. Under Russian law, the agency can block Russian citizens from accessing such sites, and impose fines on sites deemed to be promoting homosexuality among minors and breaking the law. Meantime, don’t sell the opinion of the Young Guard short. Its counsel caused a lot of expensive trouble for Children-404, a Russian website that helps LGBT teens come out. Elena Klimova, who heads up that project, has been subjected to numerous court appearances and a fine of $900.